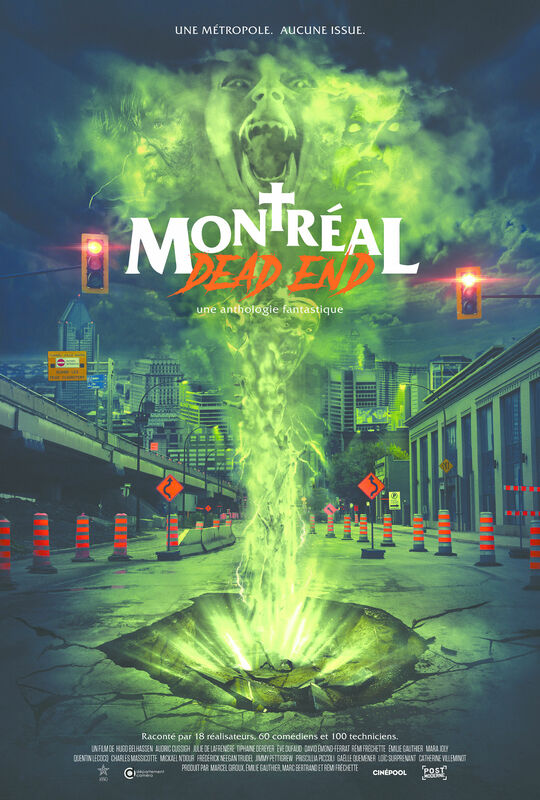 It's a well-known fact that the island's incessant roadwork is a major headache for many Montrealers, but when it awakens evil forces from deep within our own history, legends and untamed demons, we are treated to a wild delirium of fright, the likes of which festivalgoers can't afford to miss. A supernatural mist is seeping through the cracks of the city, causing various evil enchantments related to the neighbourhood from which it escapes, waking up a dark spirit here, a vengeful ghost there, releasing a plethora of terrifying creatures, possessing numerous citizens and even turning some of them into zombies, or entities from the beyond. The key to this paranormal chaos lies within a First Nations legend, a shamanic amulet and a guardian (Marco Collin) in search of a book of prophecies and premonitions which only he can decipher. Several pro-apocalyptic groups, master swindlers and voodoo priests are also looking to get their hands on this book hidden somewhere in the metropolis. The quest takes us from one part of the city to another, crossing paths with unexpected events and multiple creatures along the way.